Metro Transit's new general manager is rolling out a list of improvements to buses and trains in response to what he says is a service crisis across the agency. Wes Kooistra said riders will find more cops, more snow shoveling, more bus routes and more people ready to take their complaints about Metro Transit. An increase in cleaning staff should also mean cleaner trains. Kooistra rolled out details of his plans at a press briefing in Minneapolis Tuesday, but said some improvements have already started. Kooistra said his agency had been stashing funds to handle an anticipated "funding cliff" looming for Metro Transit's finances that could come by 2023. Now, he's decided to spend some of it. "We are falling short of meeting customer expectations for service quality. That's one of the outcomes of doing this. So now we're balancing customer demands and customer needs with fiscal management," Kooistra said. The agency provides 55 million bus rides and 25 million train trips every year. • Many of the region's 12,000 bus stops were inaccessible because of accumulated snow Metro Transit couldn't keep up with. • The agency's NexTrip information system couldn't cope with the bad weather to alert customers to changes. 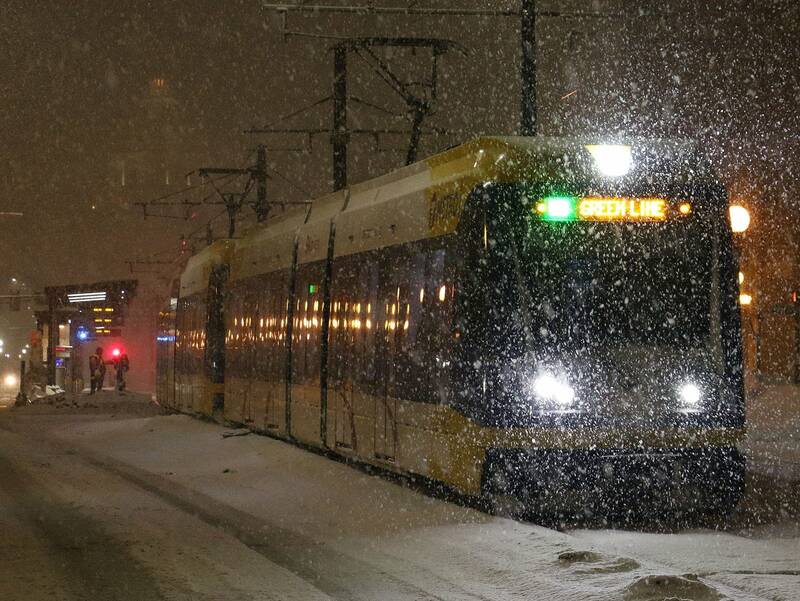 • People sought shelter from record cold and snow on light rail trains. "There's some other clear messages I have received over the past couple of months," Kooistra said. "Our customers want to feel safe. Our customers want their ride and facilities to be comfortable and clean. Customers expect their fellow riders to be respectful. Customers are tired of people smoking pot and cigarettes on the trains. They want trash to be cleaned up." It's a distressing fall for what the American Public Transit Association named as its top system in the country in 2016. The agency's parent, the regional Metropolitan Council, has been struggling in particular with the burgeoning expense for its transit system for the disabled, Metro Mobility. Use of the service has been rising as much as 8 percent a year — on top of up to 3 percent inflation — for a total of as much as a 10 percent increase annually. That's threatening to expand the $8.1 million gap between expenses and revenues Metro Transit reported last year. Kooistra said that aside from lawmakers' stated aversion for funding light rail projects, the Legislature hasn't committed fully to bus transit, either. 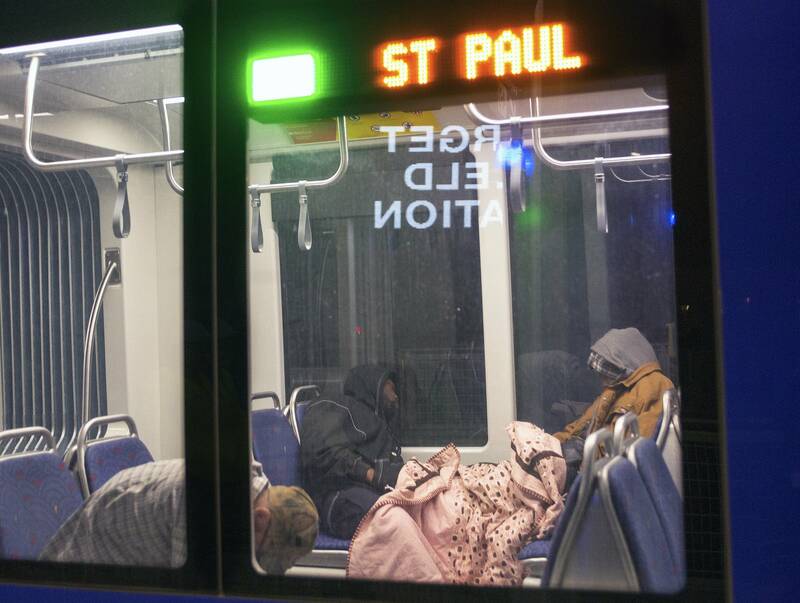 Disorder has also plagued the system, including a report critical of fare enforcement, racial disparities in policing and homeless people seeking shelter, particularly in light rail cars. Passengers have also been complaining of rampant smoking, drug use, drinking and disorderly behavior like masturbation, playing music and other disturbances, particularly on trains that don't have Metro Transit operators in the same space as riders. Kooistra said his initiative will include an overhaul for the decade old NexTrip, an information application Metro Transit built to track its fleet and keep riders up to date on schedules. 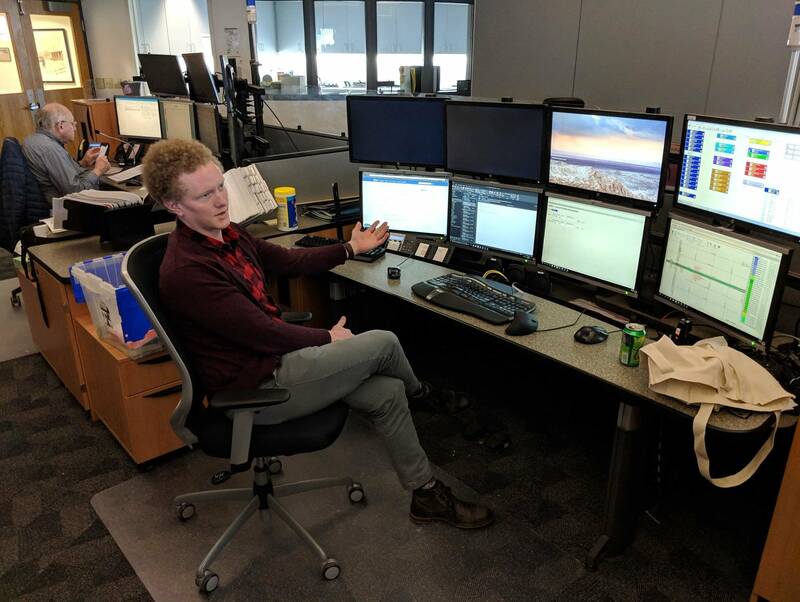 The Transit Control Center will double its quick-reaction staff, monitoring the system's Text For Safety number hotline, 612-900-0411, set up for riders to discreetly contact Metro Transit to report unruly or illegal behavior, or safety hazards on buses and trains. They'll also be updating rider alerts more often. The agency has already expanded the presence of uniformed and plain-clothes police on buses and trains. Kooistra said in January and February that had already resulted in citations along the Green Line light rail service rising 300 percent, with arrests up 250 percent. 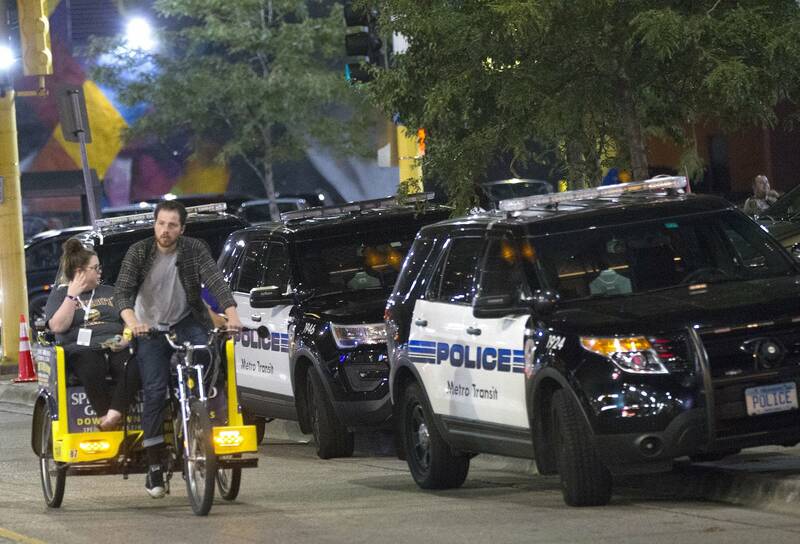 Blue Line citations have risen 150 percent and arrests have almost doubled over previous years. That comes just four years after Metro Transit Police acknowledged a serious racial disparity in its enforcement, noting black adults were 40 percent more likely to be arrested than whites, and 16 percent more likely to get citations than whites. Kooistra said that the tougher enforcement would be equitable by focusing on data — where most complaints came from. He said there would be more police at the Chicago Lake transit station, the Lake Street/Midtown Station, Blue Line services between Target Field and U.S. Bank Stadium, and between the Capitol and the University of Minnesota. Officers will also be keeping a closer watch on Route 64 buses between Payne Avenue and the Maplewood Mall. He also said officers would be doing on-board train fare enforcement in a consistent way. "When we do fare checks ... we fare check everybody on that car. We don't selectively fare check, we go from one end of the car to the other doing fare checks, so that we do it in a way that's fair, equitable and just." • Quarterly review of bus routes that will include shifting to added service, rather than simply cutting non-efficient routes. • Four staff members to clean trains throughout the weekday through peak hours, up from a single staffer. • Improved parking access for the disabled at 15 transit centers and new concrete pads at 50 bus stops. • An anti-harassment campaign to promote "respect, kindness and inclusion among our riders." • Ongoing distribution of Section 8 vouchers to help homeless riders find permanent shelter. • More on-call snow removal staff to improve bus and train access in the winter. Kooistra, who replaced long time Metro Transit general manager Brian Lamb in January, said the changes would cost $1.5 million to $2 million a year, and would be drawn from a reserve fund now worth more than $50 million. He said the transit agency had been building up the fund, anticipating an end of one-time funding from the state and trying to stave off a "funding cliff" as soon as 2020. Projected increases in motor vehicle sales taxes could push that out to 2023, but there would be a reckoning sooner or later. Kooistra said Gov. Tim Walz's has proposed a 1/8th cent sales tax in the seven-county metro area to shore up Metro Transit's bus system, on top of his proposed 20-cent gas tax — tax increases that Republicans, particularly in the state Senate have already vowed to fight. Kooistra said even without a commitment from the Legislature for more funding, he'd decided to start spending down Metro Transit's "rainy day" fund, as ridership is already ebbing and service quality threatens to become a crisis. "The point that has been proven to us ... that our customers expect more. We want to start doing that now. I hope that makes the case, but regardless of whether it makes the case or not, we're seeing this as an imperative from what we're hearing from our customers," Kooistra said. "This is an old problem that's never been fixed ... It's only been band-aided."